Home / Latest News / Build It Award Winners!!! 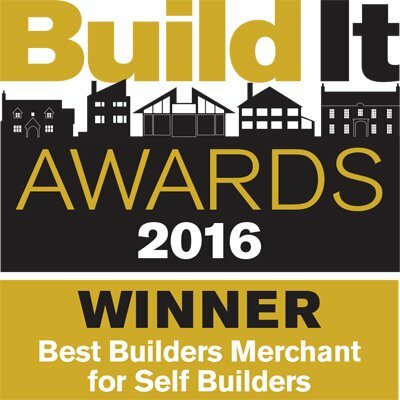 The team at Mike Wye & Associates are delighted to announce we have been crowned winners in the ‘Best Builders Merchant for Self-Builders’ category at the national Build It Awards. The Category was one of the last of the 22 Awards to be announced at a gala dinner on Thursday 22nd September at the Hilton Bankside Hotel, London. We were competing against tough competition from large national and regional companies; Travis Perkins, Jewson, RGB and John Nicholls. Further success may be on the cards for the company, as Mike Wye & Associates will be heading to another national awards ceremony in October where it is a finalist in the ‘Best Rural Manufacturing Business” at the Rural Business Awards…….wish us luck!